Hunt the Wild Side of the South for Black Bear! Black bear hunts available in North Carolina and Georgia. Tennessee hunts have been suspended. Check back for updates. All hunts are free range, fair chase with or without dogs. Our guides are dedicated, professional and experienced. Southern bears can weigh from 200 to 600 lbs. There are any where from 3,500 to 5,000 black bears in Tennessee. 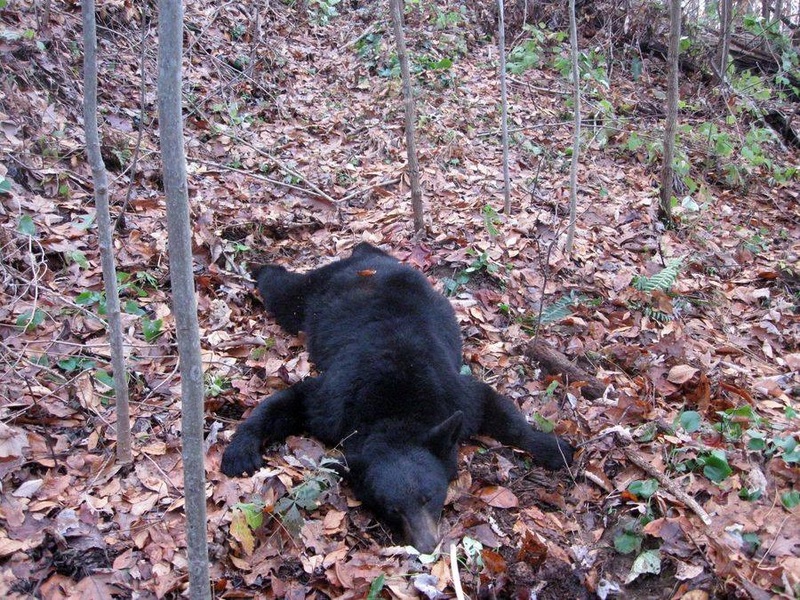 We can hunt black bear with dogs in North Carolina and Tennessee, but cannot hunt them with dogs in Georgia. We can still or stalk hunt in Georgia. We are a basic, no frills guide service and not a large outfitter so we can offer you one on one quality service. You will not be stuck in a large group of strangers. Wild boar, also known as razor backs, piney woods rooters, and simply wild hogs can also be offered either in combination with bear or as a hunt just for wild boar.